Here's some work we're really proud of. The League of Humane Voters is a political lobbying organization that seeks to enact legislation that protects animal rights and oppose laws that promote animal cruelty. 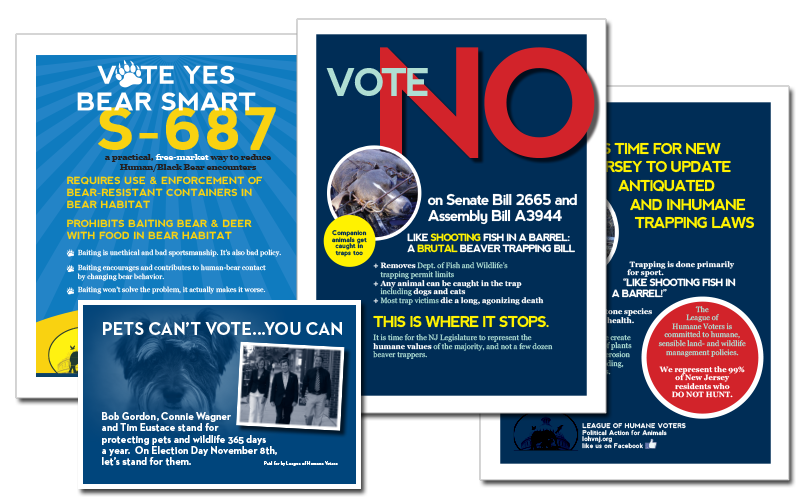 Design marketing pieces that catch the eye of legislators and establish The League’s credibility through solid design to indicate their organization and dedication. Using bold color, call-outs and graphic images helped to create a stand-out piece that cut through the clutter of home-made fliers. Calls to action are visible at a glance.